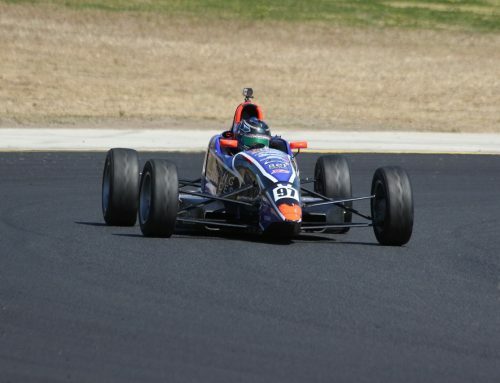 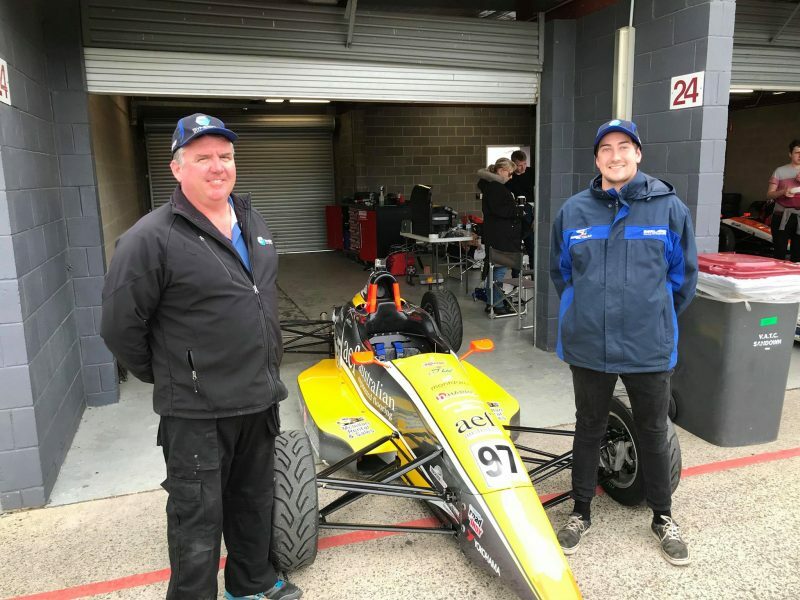 Liam McLellan has claimed his first Australian Formula Ford Championship race victory, winning the opener in Round 4 of the series at Sandown on the weekend. 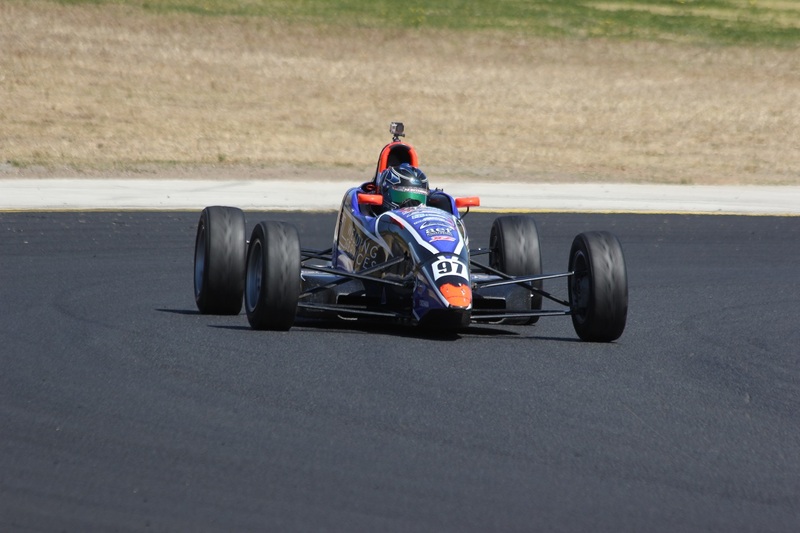 After qualifying second, McLellan stormed to the front in Race 1, taking a lead he wouldn’t relinquish. 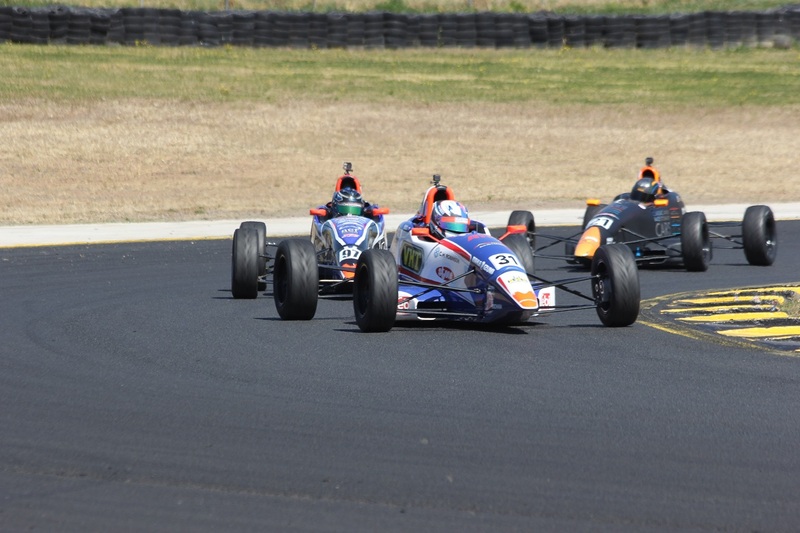 While he slipped back to sixth in Race 2, another strong drive to second in Race 3 was enough for him to finish second for the weekend. 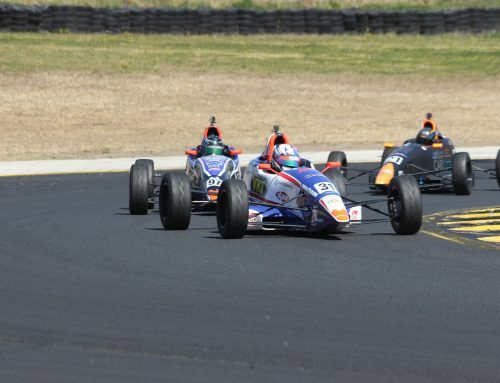 Elsewhere in the Spectrum stable, it was an up-and-down weekend; Cody Donald had one of his strongest weekends in the national series with finishes of seventh, fifth and sixth in the three races. 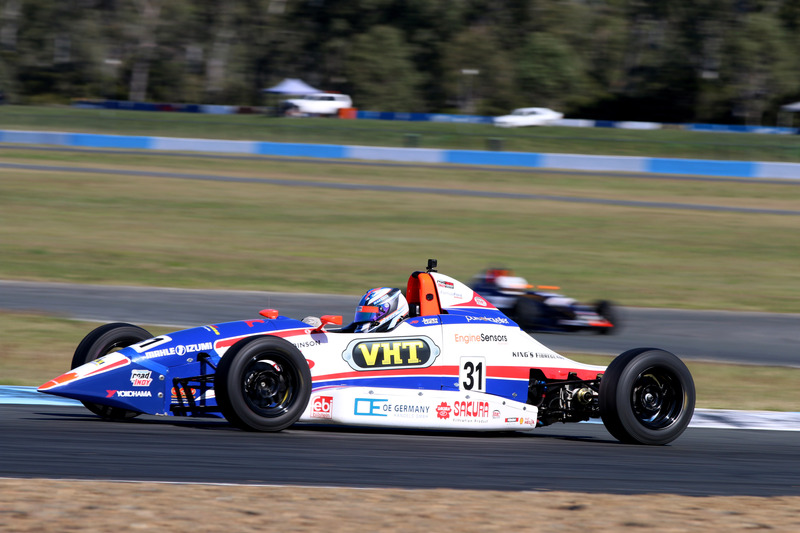 As well as doing a very professional guided tour of Sandown (which you can watch elsewhere on this page), Paul Zsidy steadly improved over the weekend, scoring a best result of 14th in Race 3, and getting down to a 1:17.7 lap time in Race 2. 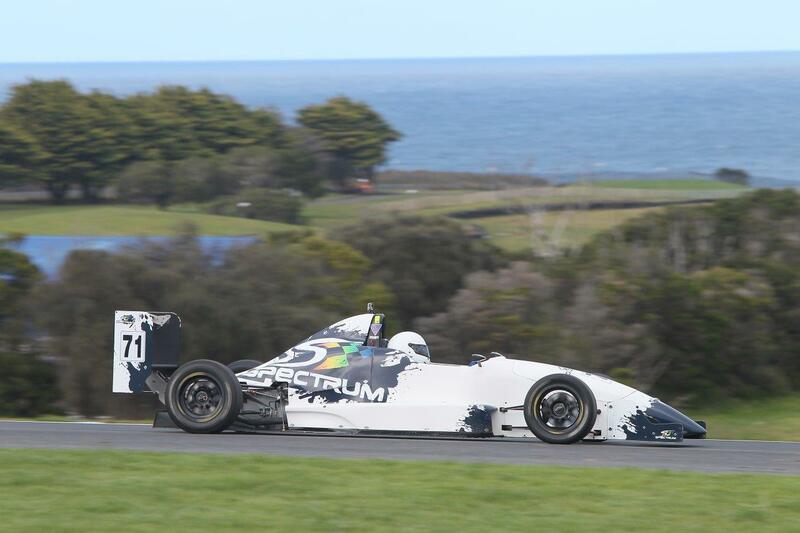 Jackson Burton drove his Spectrum 014 to top-10 finishes in Races 1 and 3, while Matt Holmes scored some valuable points for his Victorian State campaign with an 11th-place finish in Race 2, just ahead of Cody Burcher. 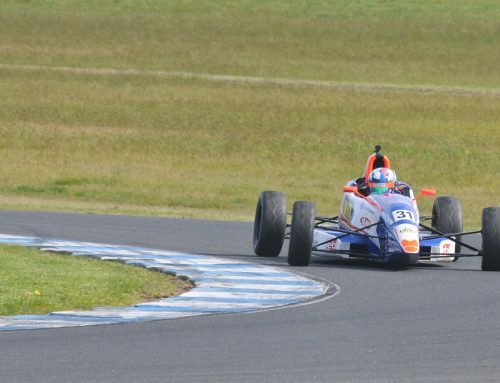 Conor Nicholson scored a best result of 10th in Race 3. 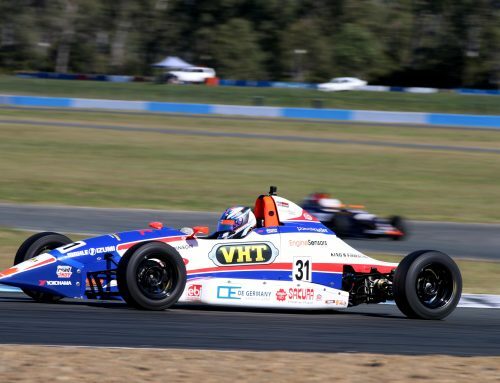 Ben D’Alia also showed strong pace, qualifying a personal-best seventh, but was a retirement from Races 1 and 3; Blaine Grills and Jake Donaldson were also caught out in some of the drama that occurred over the weekend. 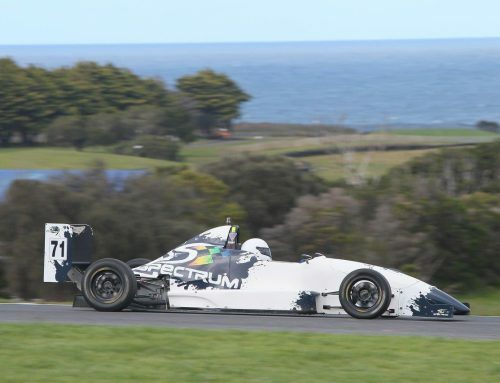 Spectrum drivers finished 1-2 for the weekend in the Kent Class, Brendan Jones winning two of the three races to take honours ahead of Peter Fitzgerald. Tim Hamilton was also in the mix, finishing third in Races 1 and 2 before retiring from Race 3.